safety device is equipped to avoid overheating. recording through a PC is also available. The Elite dry bath incubator comes in single or dual block modes, along with a complete range of interchangeable blocks. It is designed for a variety of applications, including restriction digest, denaturing DNA, BUN, melting agar, coagulation studies, hybridization and Hot Start thermo-cycled reaction. 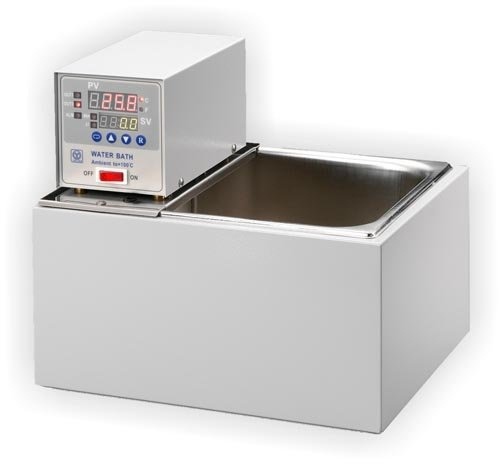 Elite dry bath is recognized as the finest, fastest temperature performance and smallest foot print dry bath incubator. In addition, the aluminum blocks can be removed for use as a mini water bath. The temperature setting can be set in increments of 0.1~C. The temperature range goes from 5~C above ambient to 150~C along with a timer simultaneously displayed on the LCD screen. Optional Function Control software allows real time data recording through a PC.